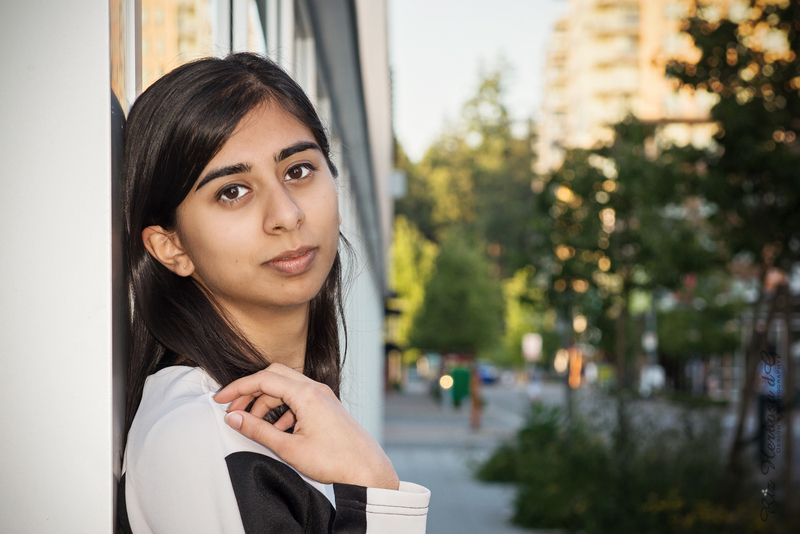 Arushi Raina is a young adult fiction writer who lives in Vancouver. A consultant by day, she fills her remaining hours with writing. Arushi grew up in Johannesburg, South Africa but, at 25, she’s a citizen of the world. So far she has lived in Egypt, Nigeria, India, the US, UK and now Canada. Her first novel, When Morning Comes, was published in June of 2016. Publishers Weekly described it as “a riveting and accomplished debut.” The book centres around the fictional lives of four teenagers living in Johannesburg in 1976, right before the Soweto uprising. I caught up with her over the phone. I read that you’ve been trying to write a novel since high school. What drew you to wanting to be a writer from such a young age? To some extent, escapism. I think most people who start wanting to write, especially early on, they’re very attracted to living in alternative worlds. That’s one thing. And then two, I think there’s just an overpowering need to have stories turn out a little bit different or characters say something a little bit different than they did. So you start creating your own versions of stories that you love in the way you’d want to tell them. Is there any story that comes to mind that you would have wanted to tell differently? When I was young, I was mostly exposed to Western literature, even though I didn’t live in the West. I remember Pride and Prejudice was a big book when I was in late junior high. I remember thinking it was a romantic story and I didn’t want it to end. I wanted to know what happened after that. Now I have a different version on it. I just think I would tell the story way more cynically than even Austen did. Would that cynicism be because you don’t think the story reflects reality? I also think that some of the components of that romance on the face of it are just not as ideal as we think they are. For example, the way in which wealth and capital operate in that romance. Should we as women have to make those types of choices? There are these eligible, handsome men who also happen to be rich. I think that also shows there’s a lack of freedom for women, having to make choices that are also oriented around money. Some of those prerequisites we think of as attractive are actually from the hierarchy that we’re living in. Your book, When Morning Comes, is set in South Africa and you were born in Johannesburg. How much of your writing is influenced by real life experiences? The story is set in the 1970s, and I grew up in South Africa in the ’90s. So obviously historical events were a bit different, but a couple of things I drew very strongly on. One, when I wrote about Jack and the very privileged environment he’s living in. That could be a carbon copy from the way that I grew up in Johannesburg, because those gated privileged communities still very much exist. In a way, that sentiment, that feeling, that guilt, it just kind of wrote itself on the paper. Another thing that I pulled from a lot, consciously or unconsciously, was what I was taught about the Soweto uprising in 1976 when I was in high school. My writing is at times confirmation of what I learned and the way I learned it. And sometimes a re-interpretation of the story I was told about that historical day. That leads to my next question. How did you go about researching and bringing to life an era and a political climate that you weren’t alive during? A couple of things. The first I alluded to already. In the early 2000s when I was learning about the Soweto uprising – the South African government is only a few decades old, so they were still learning. So I was exposed to some of those facts and they percolated for the next couple of years before I wrote the novel. I also looked through primary accounts. There are quite a few primary accounts from survivors, transcripts or copies of speeches or statements that student leaders made.. That was really interesting because you’d have one event that’s told from four or five points of view of different people who lived through that explaining what they saw. It just brought it to life for me. First of all, you see the variation when people tell the same story. And it gives you that freedom to vary and play around with the story. But it also confirms what really was essential to the uprising. When you’re telling a story, there’s a universality to it. So as much as you situate them in a time and place, what really resonates with people are things that connect the past to the present. Often, you’ll see in a scene that I talk about ordinary things and these ordinary things help to ground us in the story. Your book portrays a dystopian world and I’ve noticed that there are a lot of dystopian books out today. Why do you think that young adult readers in particular seem to be drawn to that theme? A couple of reasons. I think one, our generation, or maybe the generation right after mine, are not getting from the world what they expected to get, politically, economically and socially. I think there is increasing polarization and increasing economic uncertainty. I think two, YA—and that’s why I’m a big defender of YA literature—puts stories above literary prestige. It really forces you to confront issues in the most simple, articulate way you can. Because if you become pretentious or start navel-gazing, you’re going to lose teenagers. So, I think in a way, YA is kind of on the edge of adult literature and pushes forward the types of stories we need. I think we’re reading dystopian literature because we are encountering a political environment that is increasingly uncertain where basic freedoms are under threat. I think it is a reaction to reality. On another note, you work during the day as a consultant. How do you balance your day job with being a writer? Honestly, it’s not something I’ve figured out yet. I would say that I haven’t balanced it and it’s been quite a stretch.. So, yeah, it’s difficult, I’m not going to lie. Do you think you could ever do writing as a full-time job now that you have this first book published? Honestly, it’s all about funding. If someone gave me a grant tomorrow to write for a year, I’d do it. Are you working on any writing projects right now? I have an idea. It’s a difficult one, I haven’t actually started it, but hopefully it will come together. You are a young writer, but do you have any advice for other emerging young writers? First, ask yourself, do you really want to write? Or not? Because I think sometimes a lot of people spend a lot of energy on how to answer that question in and of itself and they hold themselves to a standard that they actually don’t need to. Writing is very cerebral. Often you are on your own. You’re not going to be bathed in riches and glory. That’s not why you write. You have to write for yourself and you write for a few people, that rare bread of readers. Two, you can always quit being a writer and then start again. There’s nothing stopping you. Third, you only get better by writing more terrible things and hoping they get less terrible over time. (laughs). Dominika Lirette is a freelance journalist in Vancouver, B.C. She loves all things to do with arts, culture, food and cities. If she isn’t writing, she is most likely eating ice cream or dancing. You can find her work published in Vancouver Magazine, The Globe and Mail, Western Living and The Edmonton Journal.